UCLA alumnus Greg Passani’s foray into the investment banking industry was anything but typical. Currently an Associate at Intrepid Investment Bankers, Passani received his B.A. 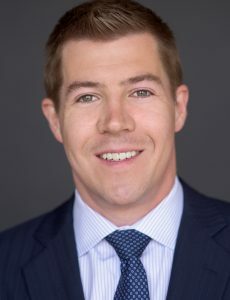 in Economics at UCLA in 2011, after which he went on to work as a private equity intern at OpenGate Capital, which focuses on acquiring corporate carve-outs, divestitures and special situations throughout North America, Western Europe and Latin America. Shortly after, he pursued a year-long Master’s program in Finance at Claremont McKenna College. Following this, Passani joined Intrepid Investment Bankers, a specialty investment bank based in Los Angeles that provides M&A, capital raising and strategic advisory services to middle-market companies. He initially joined the firm as an Analyst before being promoted to Associate, where he currently focuses on the Technology and Digital Media sectors. Having grown up in California to parents who were both UCLA graduates themselves, Passani shared a personal connection with UCLA. That said, studying economics was far from mind when he entered UCLA in 2008, intending to become an environmental science major. However, while witnessing the 2008 financial meltdown, Passani desired to understand the global macro-economic impact and switched his major to economics. Passani made the most of his opportunities at UCLA through the honors program, which enabled him to connect with many of our economic faculty, including Professor Simon Board and Professor Connan Snider. Initially, Passani aspired to continue his path in academia and pursue a PhD in economics. While exploring post-graduate opportunities with a TA, he instead decided to pursue a career in finance, where he could apply economic principals to real-world problems in a fast-paced environment. Adeptly juggling his responsibilities as a student, fraternity brother at Sigma Phi Epsilon, and member of the UCLA Snowboarding team, Passani went on to graduate UCLA in three years. His experience here forged some wonderful memories: travelling over 24 hours to ski at Jackson Hole, taking a genetic engineering class, and avidly watching UCLA Basketball, to name a few. Looking back, he concedes that the most free time he had was definitely in college! Although Passani graduated in three years, he believes the competitiveness and demanding nature of coursework at UCLA thoroughly prepared him for the real world. Despite the notorious lifestyle and hours prevalent in investment banking, Passani welcomes the challenge. While he acknowledges the difficulties of his job, including long hours and late nights, he also cherishes the rewards of investment banking as a challenging industry with a steep learning curve and substantial camaraderie amongst co-workers, many of whom have become his close friends. Most importantly, he loves the intricacies present in his work engagements. To illustrate this point, Passani discussed one of the most interesting projects he worked on last year which was a debt recapitalization case to support a management buyout of a company that serviced large equipment at the ports of Los Angeles and Long Beach. What made the case particularly interesting was the various moving parts involved in the project. Passani had to maneuver between the labor union litigation, while simultaneously handling the debt raising aspect of the project. The logistics of the project and the necessity to sync various moving parts created a challenge that he enjoyed and continues to enjoy. On a concluding note, Passani offers UCLA undergraduates some advice. He encourages students to reach out to professionals in any industries in which they are interested in order to get an insider’s perspective. Learning about the kind of work individuals actually do on a day-to-day basis, as well as challenges they face, can help students determine career fit. To accomplish this, he stresses the importance of networking and reaching out to other UCLA alumni as a means of opening new doors for yourself. Most importantly, he wants students to make the most out of their time at UCLA and enjoy the freedom and flexibility that the undergraduate lifestyle affords.